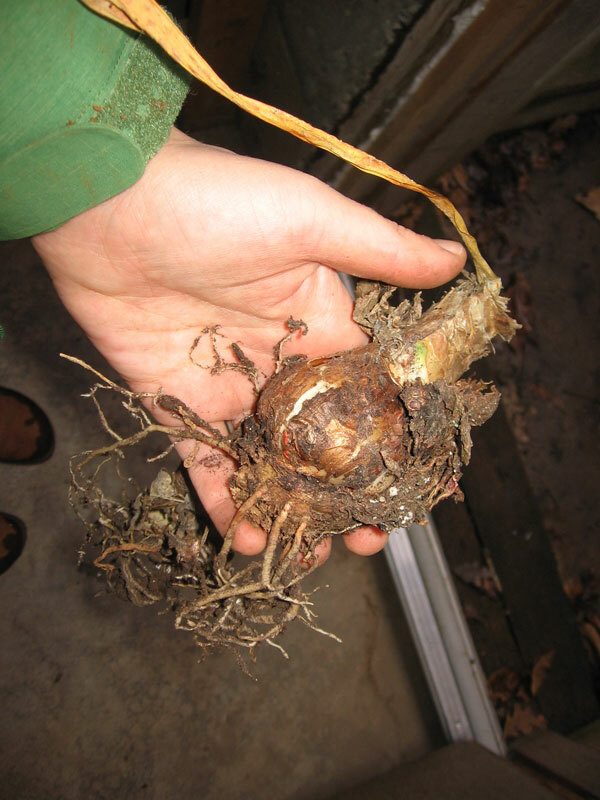 I love amaryllis bulbs (and plants and flowers). Every year I save my bulbs and replant them. Today I took all the bulbs and removed the dirt surrounding the roots, remixed a new batch of potting soil, and replanted them for the winter season. This is a bulb that I have had for 1 full year. I got it last Christmas and saved it over the summer. Every summer I take all my bulbs outside to a sunny spot, water and fertilize them, and then bring them inside before the first heavy frost. I keep them in my basement for the fall, allowing the leaves to die back and the bulb to dry out. 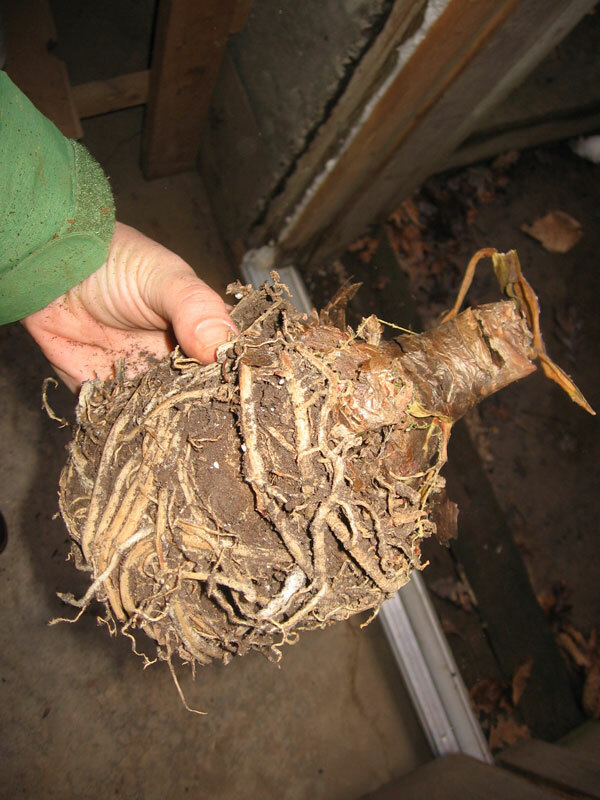 Below is a dried out bulb and root ball that I have had for about 5 years. It is getting pretty big, and even has a baby bulb starting to grow off of the side. 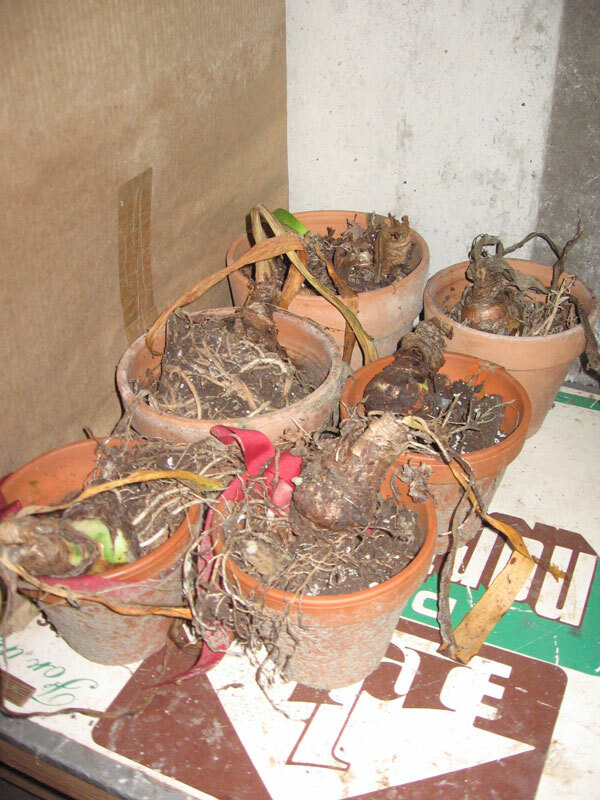 I usually keep my Amaryllis bulbs in their pots, but this year I decided to repot them and add some new soil. When the bulbs were totally dry I knocked the soil off of the roots and set them back in their pots. I mixed up some potting soil from various sources so that it wouldn’t be too light and airy, or too dense. 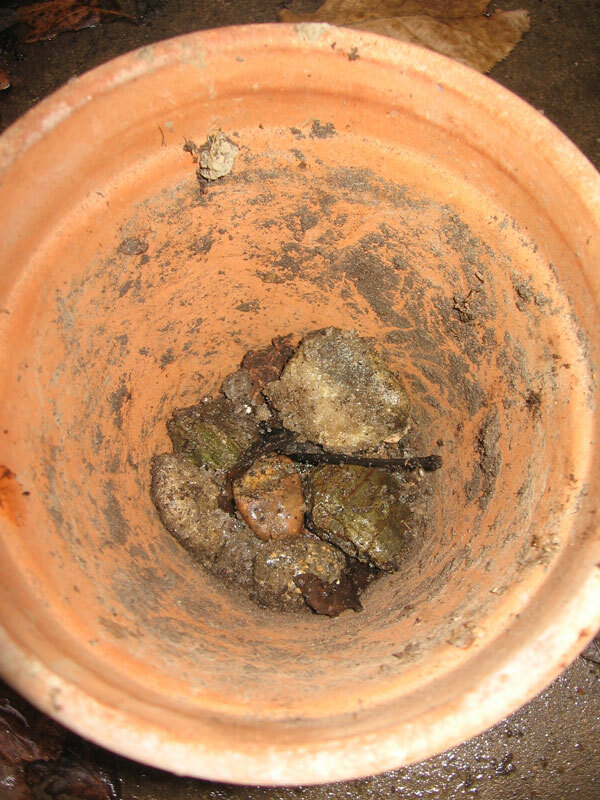 Then I placed some rocks in the bottom of the pot. The rocks prevent soil from leaking out, and improve soil drainage. I usually dig some up from my driveway (these are still slightly covered in snow). After the rocks goes some of the soil, about half way up. Then comes the bulb, and when nicely situated, the rest of the soil. 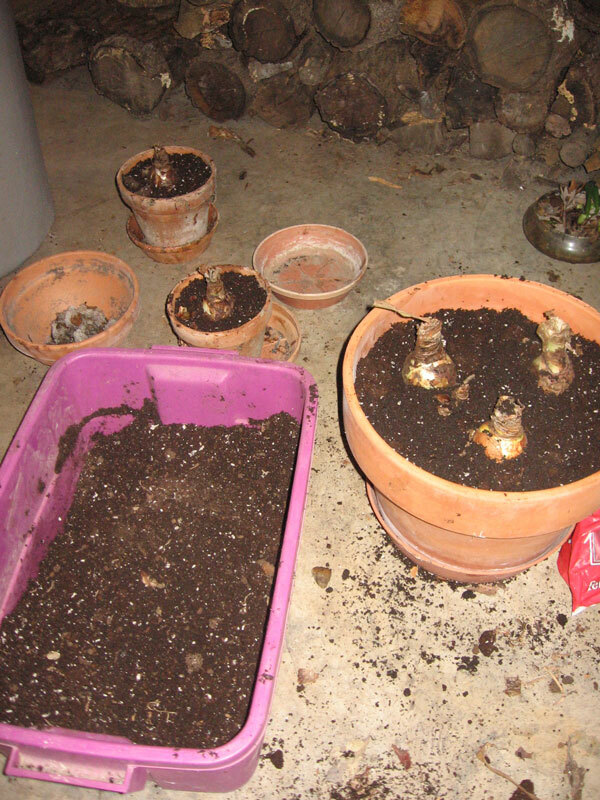 Below are the finished pots of bulbs. I took them upstairs to the bathtub to rinse off any excess dirt, and they are now in the sunny windows! I am hoping that they all bloom this year, but I am not sure that they will. I wasn’t as good as I should have been with over the summer care (water and fertilizer). Will just have to wait and see. There are 6 bulbs all together, so hopefully some of them will bloom. If not, I will just have to look after them better next summer. mine is in full bloom and looking lovely!